1 year later it changed to “syanart.blogspot(dot)com“. Then finally, in 2012 the site “syanart(dot)com” was created. Many many many changes happened in this 10 years, personalty I like to think that every single change, was made for the better, was made in the correct direction. But let’s not forget, WHY does, SyanArt exists in the first place. Back in 2009 I was fascinated with Keyart graphics of games. Final Art exclusively created to portrait and showcase the product with outstanding renders and FX as cover art you could see in the gaming box cases, posters, magazines. Those CGI trailers, the final door to graphics imaginary for kids. I was determinante to create FullHD resolution custom backgrounds of my favourite games for everyone to enjoy them! for the community! One day! all this crazy abstract wallpapers I’m doing (1 simple frame) are going to be REAL-TIME graphics. The time have come and so have I. The time of ultra realistic and real time graphics have come to gaming. Devil May Cry 5, each frame of the game is pure art. And so are many many others current games. The concept of creating Gaming Wallpapers for Desktop Monitors, got blurred. BUT! this not the end. This is a new era, an exciting one! 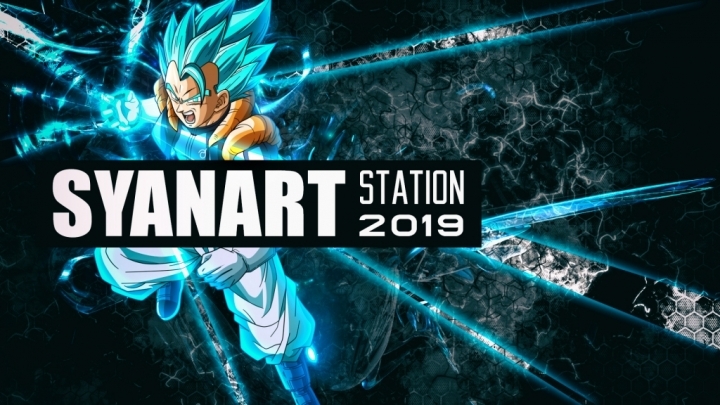 SyanArt Station will keep on providing content in many formats for those who seek more! and look further those games they love. SyanArt gonna focus more towards “creativity” rather than pursuing ultra realistic FX and graphics for Wallpapers and merch. What will come in 2019? 4K Gaming, Anime, Movies Wallpapers. Unique Tutorials and Design tips. News, Blog posts and Reviews. TONS of new Posters and Merch. I have plenty of ideas to keep on creating stuff and sharing it with everyone who may be interested. Please bear with me and help me grow into a strong community!